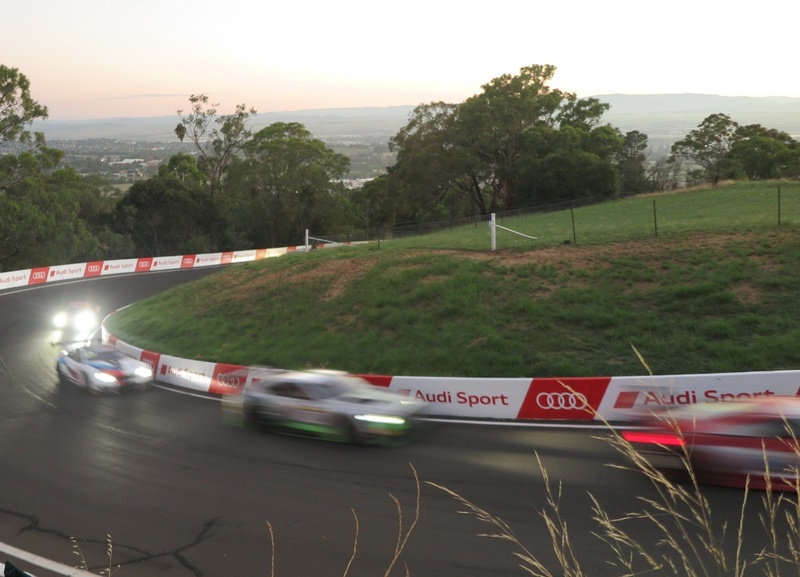 I have been to the mountain - and watched one of the most thrilling motor races of my life. 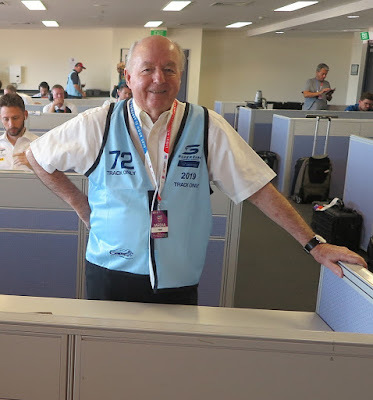 It was with bleary eyes that I lined up for the start at 5:45am Sunday, but as dawn broke, from that moment on I was glued to the race, witnessing the various unfolding dramas. 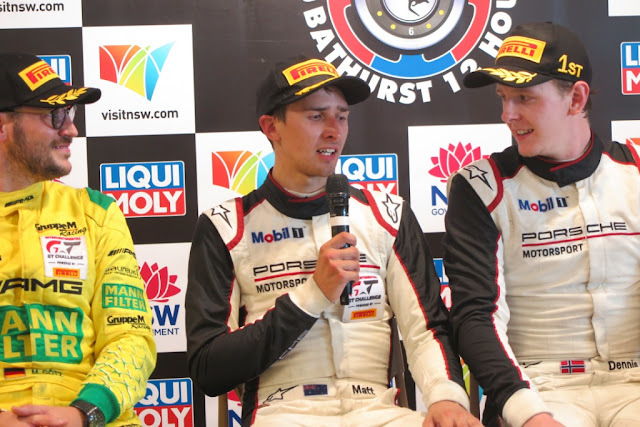 It was the first time the Bathurst 12 Hour has been won by a Porsche, as young Aussie Matt Campbell muscled his way past the V12 Aston Martin driven by Jake Dennis, relegating him to second, with the Mercedes AMG of Raffaele Marciello taking third place. The race featured 13 different leaders, for a total of 30 lead changes at the line, beating the previous record in 2016. The race was run at a record average speed of 161km/h, and the winner completed 312 laps - a total distance of 1938km. 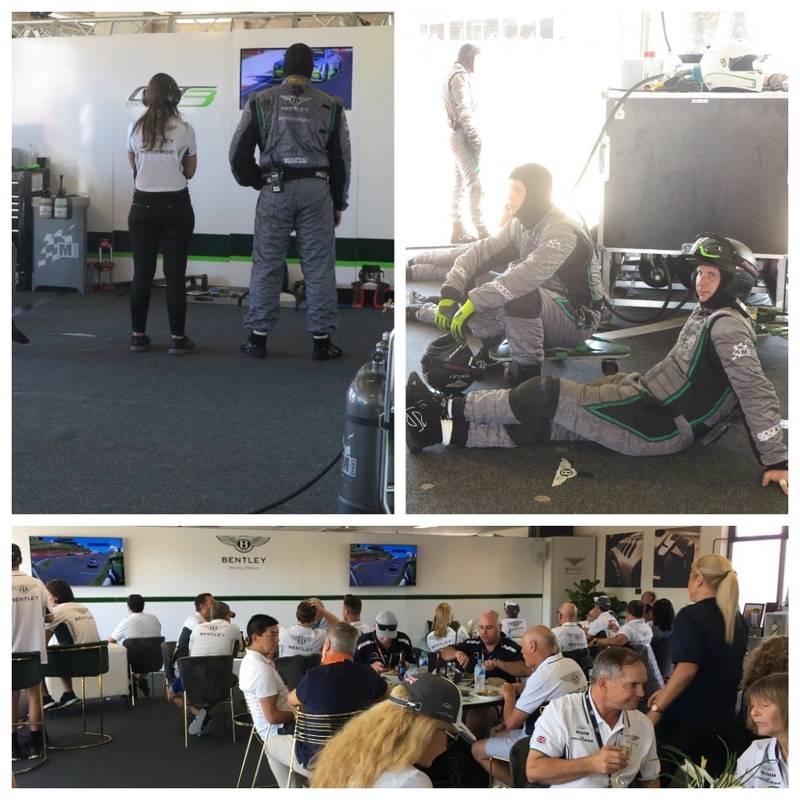 Whether I was trackside; watching from the Bentley pit; or cooling off on a very hot day in the media centre, you couldn’t afford to take your eyes of what was happening on the track. There was drama a plenty, with differing team strategies resulting in wins and losses on the circuit. The highly professional Team Bentley M-Sport was left wondering what it has to do to win at Mount Panorama. The two brand new GT3 cars finished strongly, but, sadly, not on the podium - again! However, the Bentley owners and potential customers who were hosted in a trackside lounge appeared to really enjoy the spectacle unfolding in front of them. Obviously keen to see Bentley victorious, many of them I spoke to were resigned to the fact that good luck plays a big part in motor racing. The Bentley Continental coupes certainly looked like potential winners on the track. The exhaust emitted a deafening boom, as they pulled strongly up Mountain Straight, and blasted through The Cutting, which was one of my vantage points throughout the day. The pit stops were slick, as the well-drilled technicians descended on the cars to change tyres and brakes. Fourth went to one of the many AMG GT3 machines, driven by local Supercars stars, Craig Lowndes, Jamie Whincup and Shane van Gisbergen. Throughout the day I watched as the BMW Team Schnitzer M6 GT3 led the most number of laps, and I was confident it was looking solid for a great finish, but finally finished in fifth place. It was Matt Campbell’s finest hour in front of a home crowd. He was cool and calm, displaying maturity not often seen in young drivers, as he confidently piloted #912A to victory. In the final hour of the race he never put a wheel in the wrong place, as he hunted down the V12 Vantage GT3 from Aston Martin St Gallen. 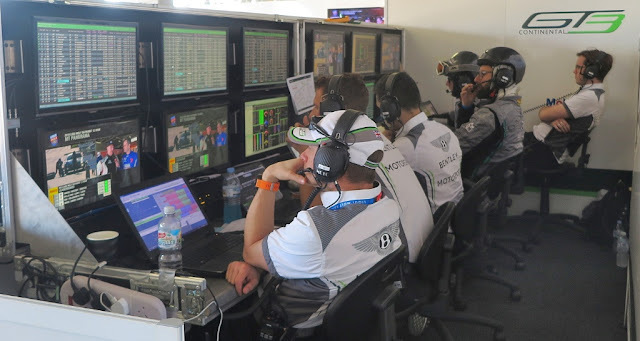 This Swiss-based team is a unique operation among privateer Aston Martin teams. It was founded in 2010 by sports medicine gurus, Andreas Baenziger and Florian Kamelger who run an internationally acclaimed network of sports medicine clinics. Based in the small town of Nierderwil, an hour’s drive east of Zurich, Aston Martin St Gallen sells Aston Martins to customers who want to go racing, and guides them through their learning curve, and racing campaigns. Consequently the team presented two beautifully-prepared V12 racers, and looked like almost certain winners until the dying stages of this year’s race. Matt Campbell dived down the inside of car #62, to flash across the line for Porsche’s first ever victory in the Bathurst 12 Hour endurance race, which attracted a record number of spectators to the Mount Panorama circuit, and held the global TV audience in suspense right up until the chequered flag was waved. I’m sorry Bentley did not do better, but the two cars are 2019-spec GT3 racers, and there is confidence they will be very competitive in the rest of the Blancpain Series. As I was not monitoring the television broadcast minute by minute, one of my good friends points out that Bentley driver Andy Souceck accidentally hit the engine kill button, TWICE. In addition the team stratgeists made some poor calls. 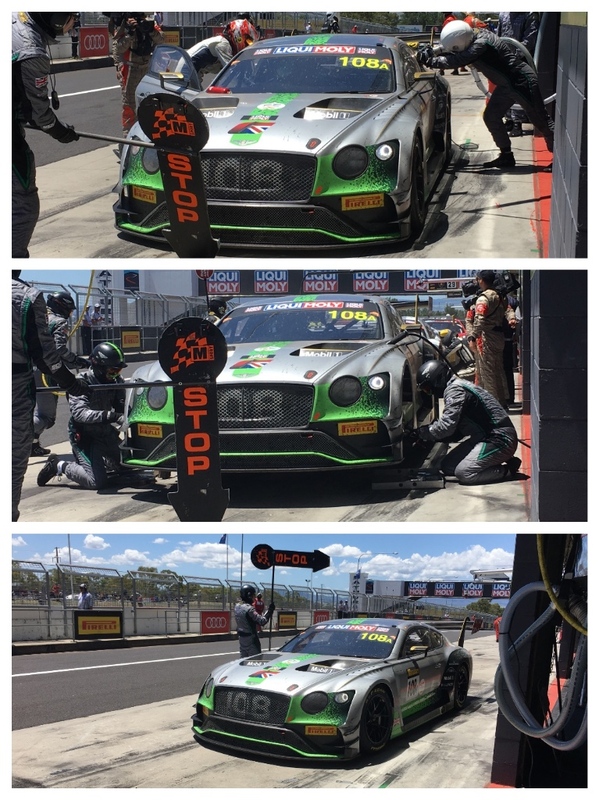 So, in the end, the Bathurst 12 Hour was probably a good pre-season workout for Team Bentley M-Sport. That's something Bentley's Motor Sport Director, Brian Gush probably thought about a lot as he flew back to Crewe. What a great race, and I’m so glad I was there to see it. HOLDEN ONE DAY, OPEL THE NEXT?